Boxkite is the missing link between Xero and Dropbox. After connecting with Xero, our system will routinely check your Xero account for any changes in areas you've asked us to keep backed up. 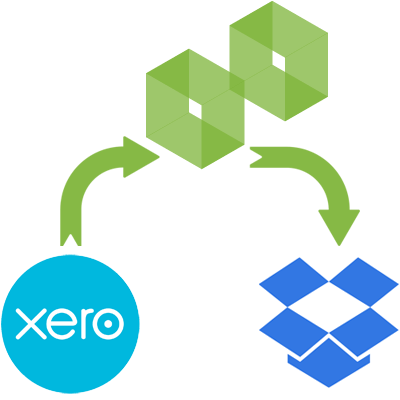 If we find any changes we queue them up, and Boxkite will move them directly from Xero to Dropbox as quickly as it can - we only hold any data locally when it's in transit. Once your data is transferred to Dropbox it will automatically sync to any computers set up with that Dropbox account, giving you an automatic backup, right to your own hard drive. This varies depending on your exact data, but as an example a company with around 2000 invoices, requires less than 200MB of space in your Dropbox. We check your Xero account for new data approximately every hour, (more or less often for some items). Boxkite can transfer thousands of files in an hour, so new data is generally backed up within an hour or two. We are limited to 1,000 requests per day to Xero for each company, so large amounts of data may take several days to transfer.